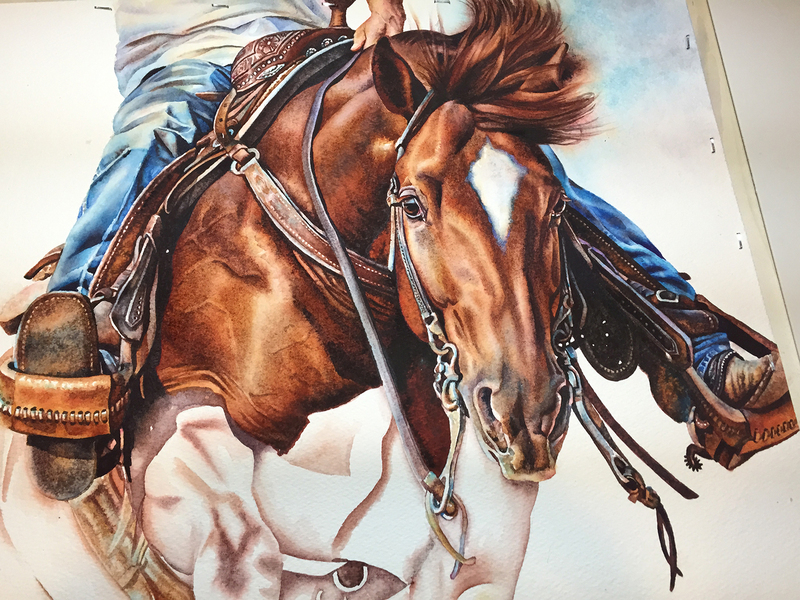 A new reining horse slid into 2015 – being the first painting of the year. This painting was so effortless for me, and was a pleasure to paint. Somehow the stars aligned and I just kept painting and painting and then marvel at what slid off the brush. 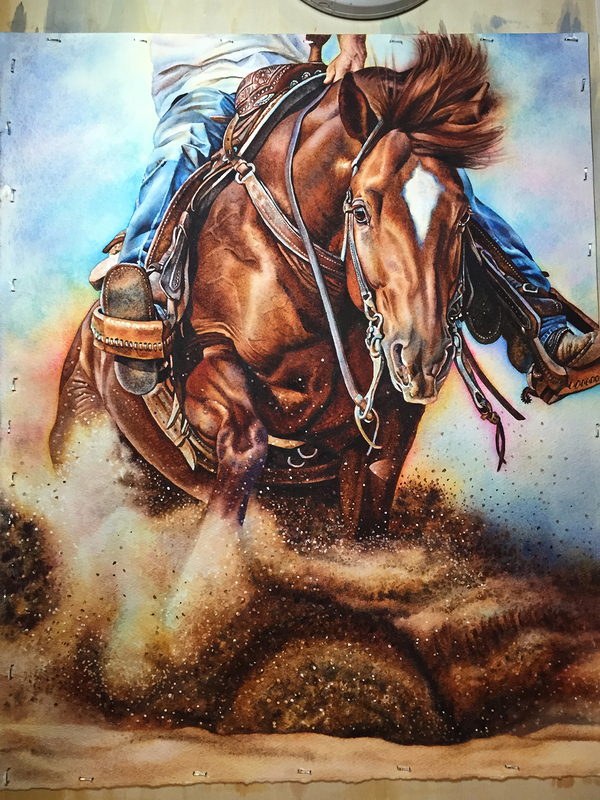 My favorite part of this painting is the billowing cloud of dirt and dust that the horse kicks up as he slides into a stop. 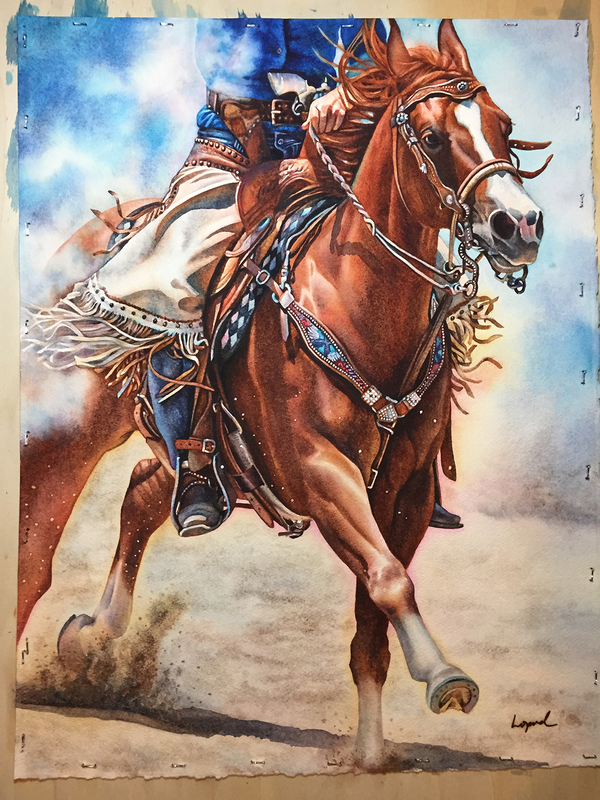 I also love how the rider is so relaxed with soft hands – letting the horse do his job. 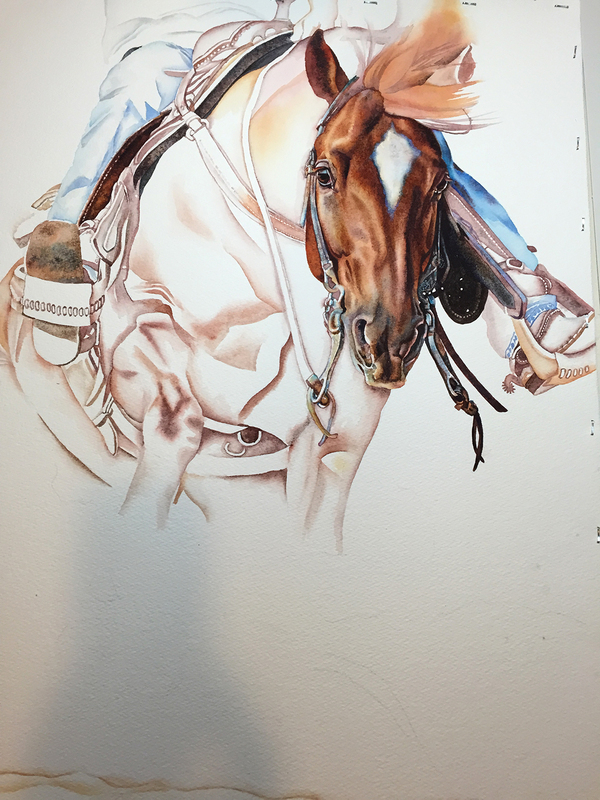 Below are the work in progress shots. 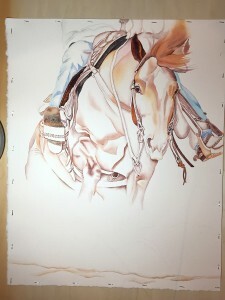 Once I have the final painting professionally photographed, I will add it to the site.